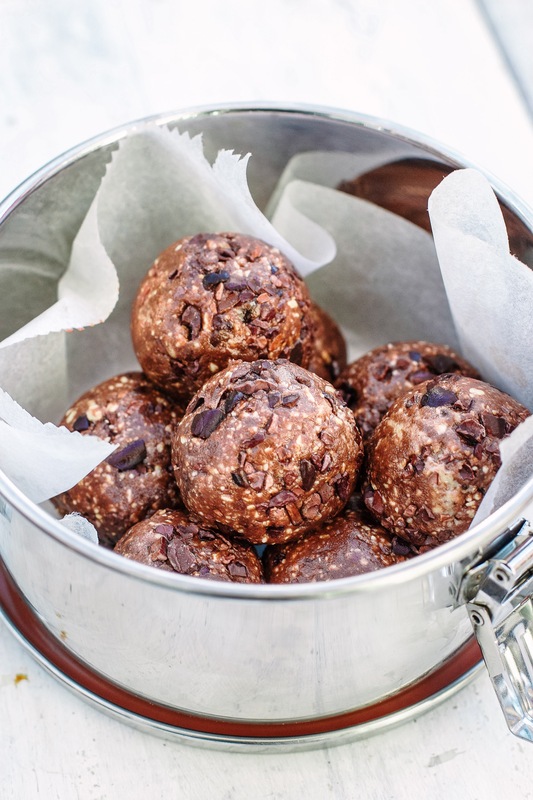 These double chocolate energy balls are my new best snack. They’re so chocolatey and moreish and there’s only one tablespoon of maple syrup in the whole batch. 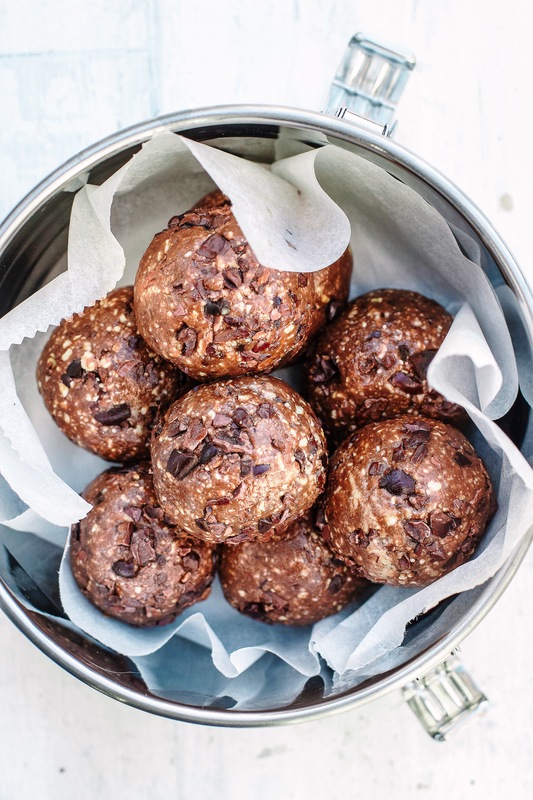 They’re packed with antioxidants, essential fatty acids and iron from all the cacao goodness and they’re the perfect sweet snack that’s super low in sugar but will seriously hit the spot. I’m loving cacao nibs at the moment, they have such a good crunch that makes these irresistible. They last for 2 weeks in an airtight container, but they never stick around that long in my house! Roast the cashews for about 8 minutes at 180’C, or until lightly golden. Add the roasted cashews to your food processor and blend on high until you have a super fine flour. Add in the cacao powder and a pinch of sea salt and blend until combined. While blending, pour in the maple syrup and coconut oil until it all comes together. Keep blending until it comes together like the early stages of nut butter- how long this takes will depend on your machine. It should stick together when you squeeze it so if not, keep going. Sprinkle in the cacao nibs and pulse, just until they’re all mixed in. Roll the mixture into balls and store in an airtight container. Do you buy the cacao nibs in a health food shop? Or can you get them in a supermarket? Hi Indy, when’s your next book coming out? I love your recipes!! These are amazing!! Thank you! Do you blend the cashews whilst they’re still warm or wait till they’ve cooled? I am allergic to nuts, what can I use instead of cashew nuts? For these ones the cashews are really important for the flavour and the texture, I haven’t tried a nut free version yet but you could try sunflower seeds! These were amazing 🙂 you should do more!